20 Watts PEP, 30 - 512 MHz, Tx/Rx Booster Amplifier. 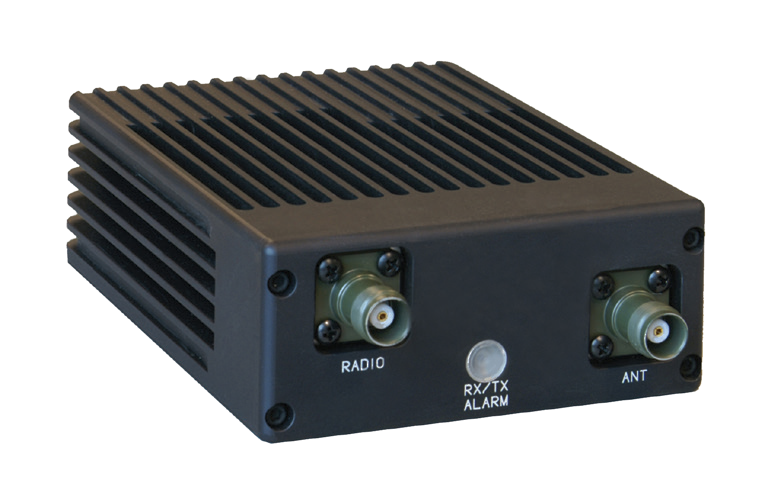 The Model AR-20B is a portable, lightweight, fully automatic band-switching RF booster amplifier for multi-band VHF/UHF Tactical Radio equipment employing legacy, proprietary and emerging waveforms. The AR-20B produces 20 Watts from a 2 Watts CW/PEP radio input and covers the frequency band of 30-512 MHz. The unit has a wide input DC voltage range and can operate from a single battery source such as a XX90 battery or 12 and 28 VDC vehicle power.